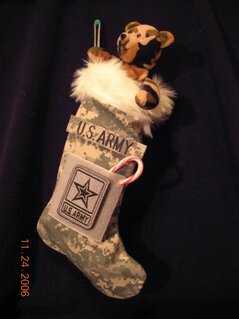 This entry was posted in Army stockings, sewing projects. Bookmark the permalink. BTW: I sold 6 of the 10 you sent me in 5 minutes and I haven't gotten them into the office yet. Michelle – you should have a “fan” page on fb! !